Die Arbeit besteht aus einem Forschungsbericht über das fiktive Kleinstlebewesen „Amedusa Nylonica“ und einer 10-minütigen Animation. Die „Amedusa Nylonica“ ist ein erfundener Mikroorganismus, basierend auf wissenschaftlichen Studien des bekannten Biologen Brehm. Der Forschungsbericht gibt detaillierte Informationen zum Organismus als auch zu seiner Forschungsgeschichte. Zugrunde liegen Texte aus Brehms Tierleben von 1869 sowie aktuelle Berichte über Quallen. Die Arbeit stellt Verbindungen von abstrakter Sprache zu lebendigen Organismen her. Die pseudo-dokumentarischen Bilder hinterfragen Bildrealitäten und Inhalte im wissenschaftlichen Kontext. 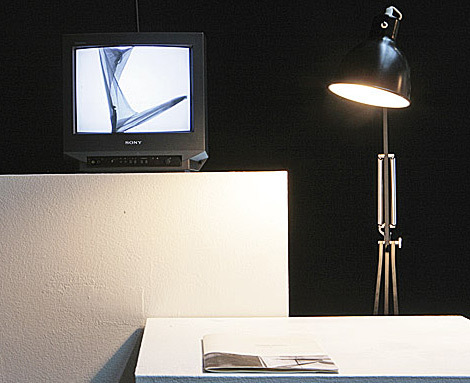 A small black and white monitor displays a moving something. Camera focuses, observes. The diaphanous body has thicker parts in some places, they are realised as darker parts. Thin tentacles are growing out of the surface and are drifting in an undefined way around the body. The being jerks, moves – slow as in liquid – drives to the screen border, stretches, extends, persists almost motionless. – Cut. The same being in an other position, moving stronger, getting out of focus, the camera refocuses, continues observing. – Cut. 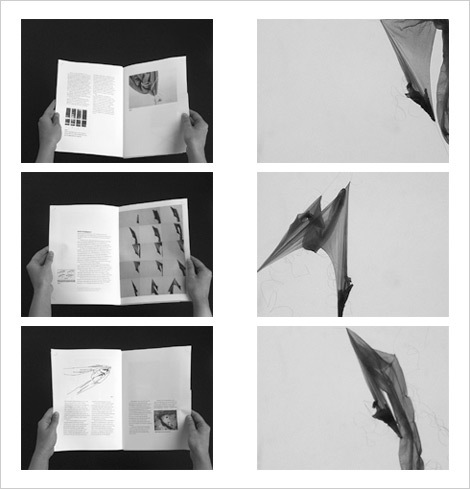 The work includes a fictional scientific magazine, a video and a typeface. Amedusa Nylonica is a fictional microorganism based on studies of the famous biologist Brehm. That magazine gives detailed information on the organism and the history of his research. Movements and behaviour of this „animal“ are shown in an animated video.